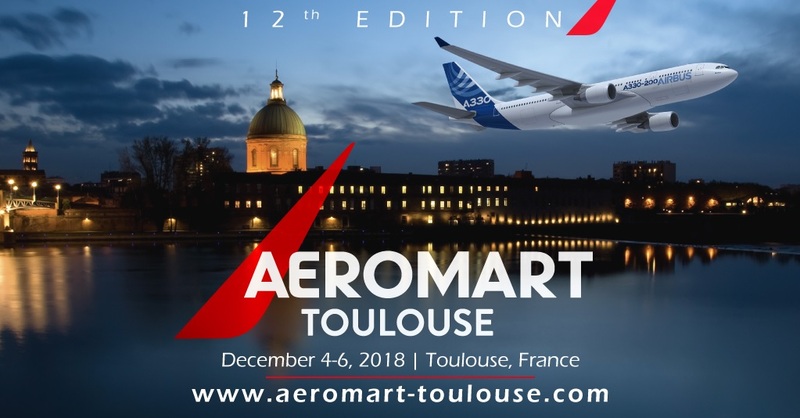 BART Srl will exhibit at AEROMART in Toulouse (4-6 December 2018),, an international business convention for the aerospace and defense industry with the participation of big international players such as Airbus, Rolls Royce, Boing, Honeywell, Safran, etc. many of which are ours historical partners. The aerospace industry is an important market and we are chosen by many companies because we are able to offer velocity (express service), punctuality, confidentiality, high quality and precision, indispensable qualities to get the best end result in this area. What are you waiting for? Come and visit us at HALL 5 STAND M6 from 4th to 6th December.